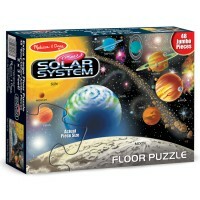 Assemble your own mesmerizing planetary landscape with the 60 jigsaw pieces from the Outer Space puzzle! 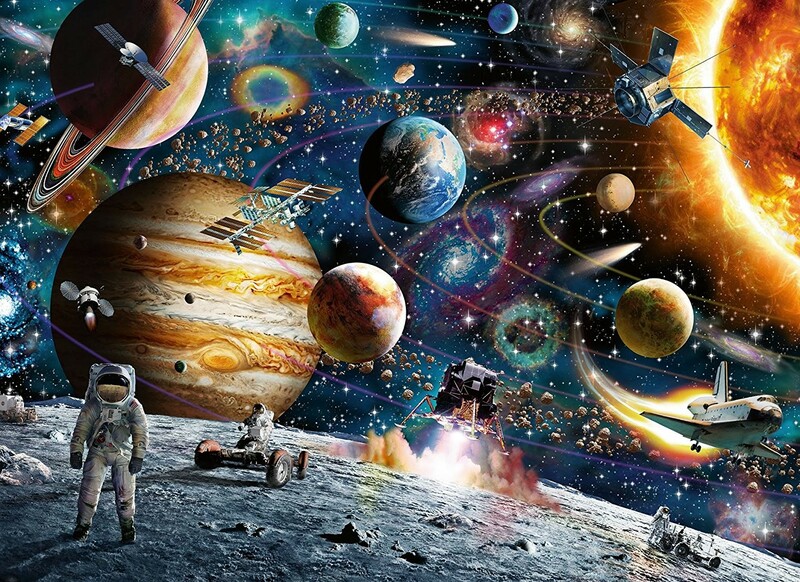 The astronaut and the moonwalker are exploring the surface of the Moon or possibly some other outer space planet near the space base. 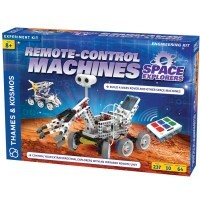 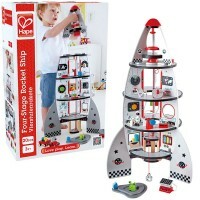 Such beautiful space landscape will make your child dream, think and play! 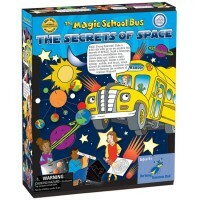 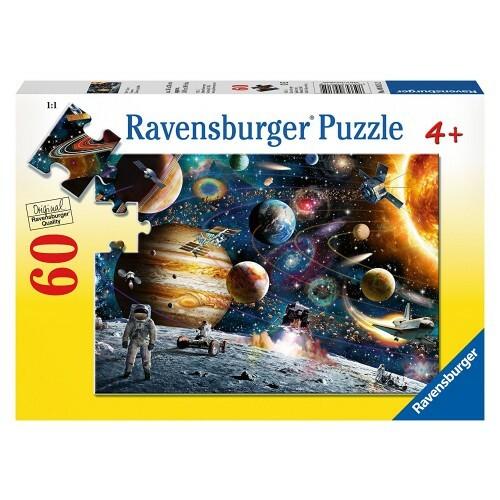 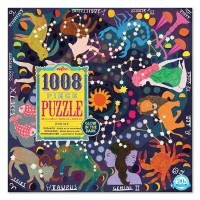 Outer Space 60 pc Puzzle is a quality cardboard jigsaw from the multi-award winning German manufacturer, Ravensburger. 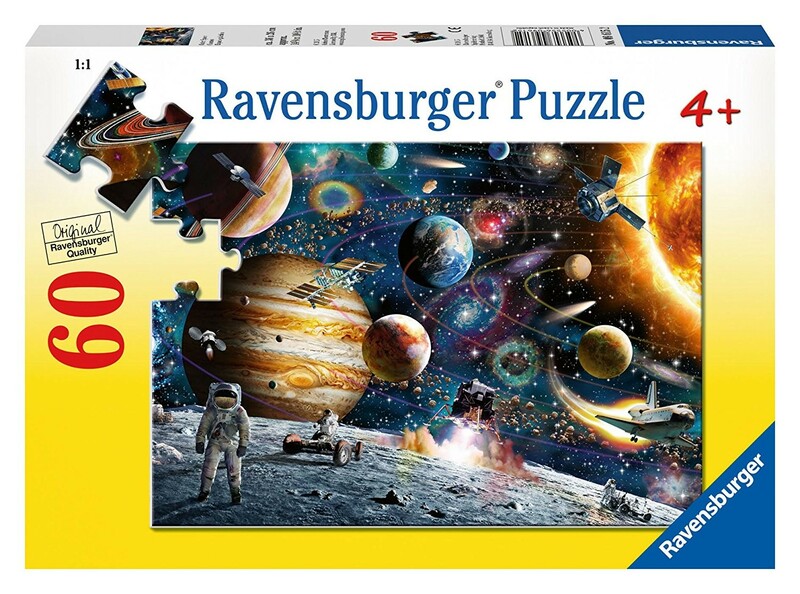 The 14.25 x 10.25 inches puzzle presents the full of adventures and discoveries outer space with planets of solar system, stars, far galaxies, spaceships, and planetary landscape. 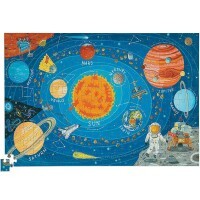 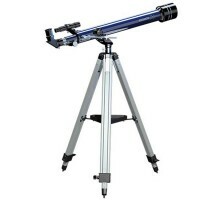 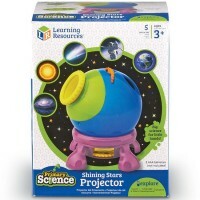 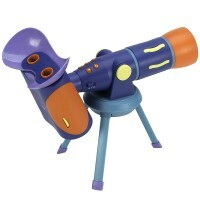 Educational Toys Planet's space theme jigsaw is a great gift for young science fans. 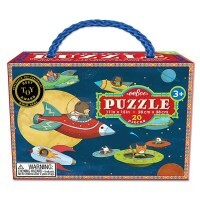 Write your own review of Outer Space 60 pc Puzzle.